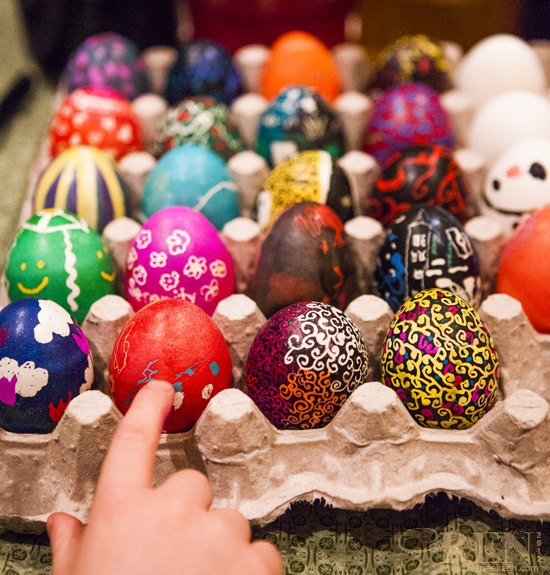 Ukrainian egg decorating is one of my favorite Easter traditions! 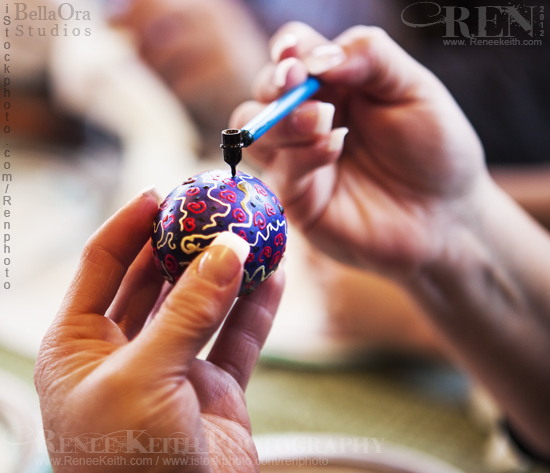 Of course I never really stick to the traditional style of Ukrainian eggs, instead I create my own designs which can include random designs, or flowers, or swirls… anything I can think of. It is a ton of fun to do with family and friends every year. 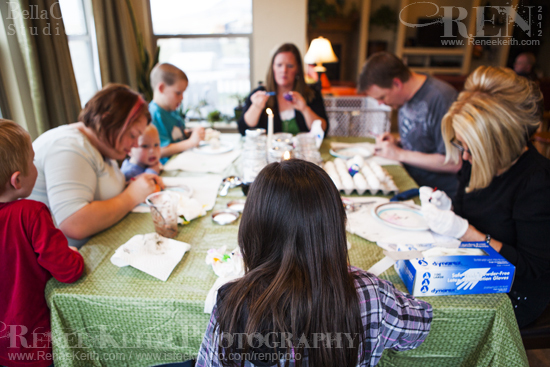 In fact, we just barely finished up a family party tonight, and the eggs turned out awesome! I usually order all of my egg supplies from http://www.ukrainiangiftshop.com/. And over the years, I have been collecting more and more Kistky sticks so I can have parties with around 6-8 guests. If you are just starting, here is their most popular kit: http://www.ukrainiangiftshop.com/Super-Color-Kit-w_delrin/productinfo/KITSD// . BTW, the dyes are fabulous… super intense colors really makes it fun! 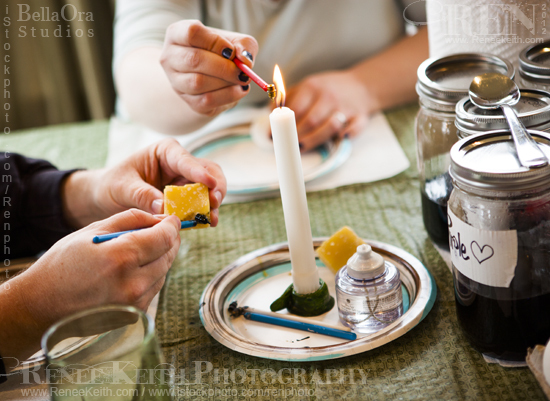 You need: Wax, kistky sticks, dye, candles, paper towels, mason jars (for the dyes), (I use hard boiled) eggs. 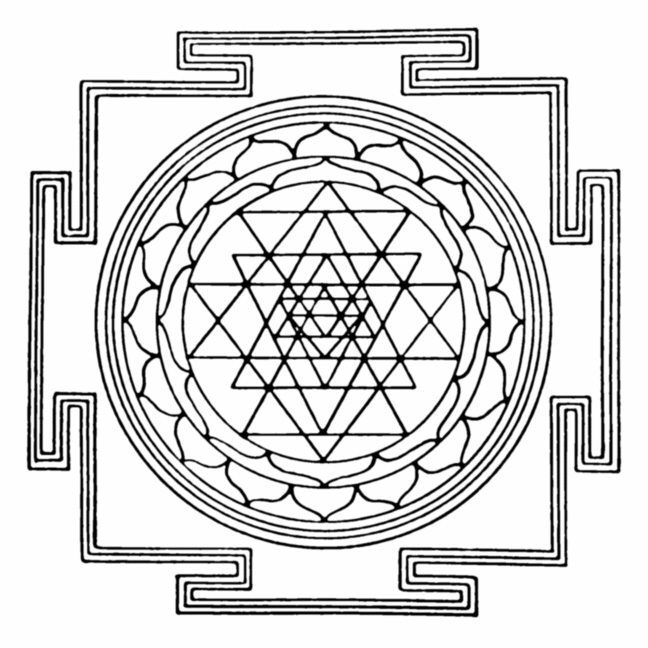 I suggest using the products from the links posted above. 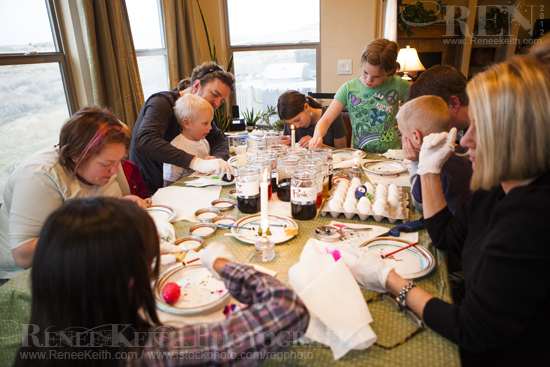 The kistky sticks are used to draw with wax onto the egg. 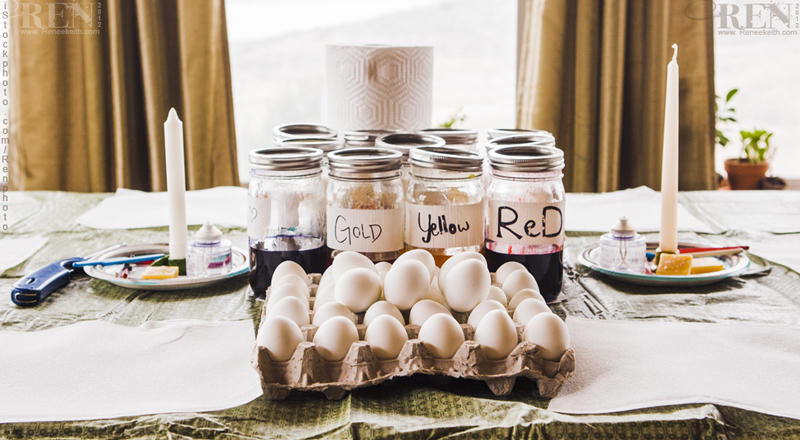 Each time you dip the egg into a new color, you must add wax to wherever you would like that particular color to stay. It is best to start with light colors and work your way to darker colors… this will help keep your colors vibrant and not muddied. 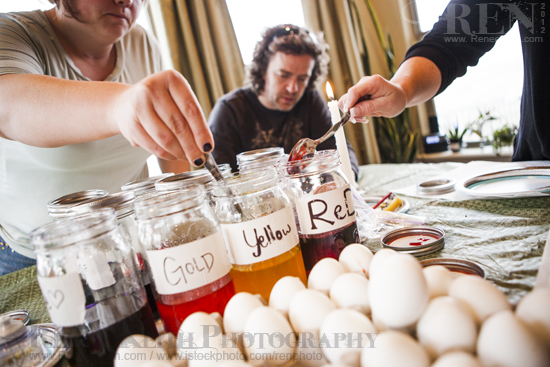 The Ukrainian egg dyes are super intense and will stain your clothes and hands, so latex gloves are optional as well. When finished, just melt and wipe off all of the wax from the egg. 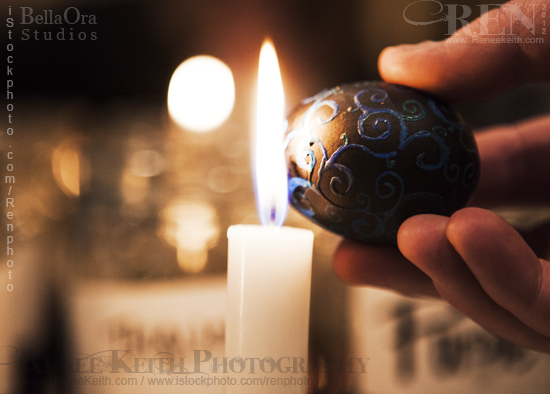 This is best done by putting the egg in the side of a flame, rather than the top. Otherwise, you could get some black carbon stains from the flame.